AvL's Model 2.0m 1220FA FlyAway SNG antenna systems offer strong performance in a lightweight, portable, 2-man lift package. All 1220FA FlyAway SNG antenna systems have positioners integrated into cases for easy set-up; these antennas can be flown anywhere, then set up and operational within minutes. 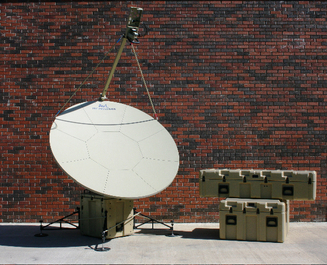 These antenna systems are produced in high volume for a significant U.S. Army logistics program.